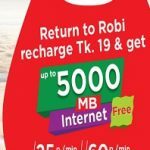 Robi all prepaid customers are eligible to enjoy Robi Boishakhi 32Tk Recharge Offer. Robi has come to their valuable customers to enjoy 32tk recharge offer by Bkash and Roket. After 32tk recharge on this system, customers can get 32MB free internet and 32 minute free talk-time offer. The customers who want to know about this special Robi Recharge Offer details, just read and follow our instruction. Today I will update more information about this offer. 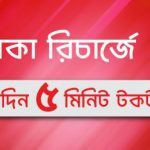 Robi all prepaid customers without new connection can get this special 32Tk recharge offer. 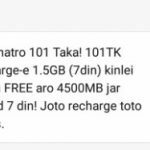 To activate this special free minute and internet offer, customers need to recharge Tk32 on Bkash and Roket. After recharge, customers will get bonus to 72 hours. Bonus minute customers can use only Robi and airtel numbers. Free internet and free minute customers can use 12am to 4pm. To check your bonus minute, just dial *222*7# and check your internet balance, just dial *123*3*5# or *8444*88#. Only 60 paisa / minute or more rates (Robi-Robi / airtel) User Robi prepaid customers can avail this offer. Now all selected customers can get a clear concept about the Robi Boishakhi 32Tk Recharge Offer details. If you have any problem to activate this offer, just comment the box. We will try best to solve your problem.